Cowabunga dudes. You might not have been feeling the Michael Bay-produced Ninja Turtles movie from a couple of years back – certainly very few people outside Hasbro toy manufacturers were. Th is week there’s a slice of sequel pizza in the oven: Teenage Mutant Ninja Turtles 2: Out of The Shadows. Can the heroes in a half-shell right the wrongs of their previous outing? Anyone care? Also out this week is the weepy Me Before You starring Khaleesi herself (Emilia Clarke) – albeit without her dragons. The film has still been drawing some fire, however, for its alleged contrivances in depicting the disabled lead character. Those eager for a sniffle should note the film has earned only lukewarm reviews thus far. Worth mentioning, if you happen to read Danish subtitles, is Hsiao-Hsien Hou’s The Assassin. 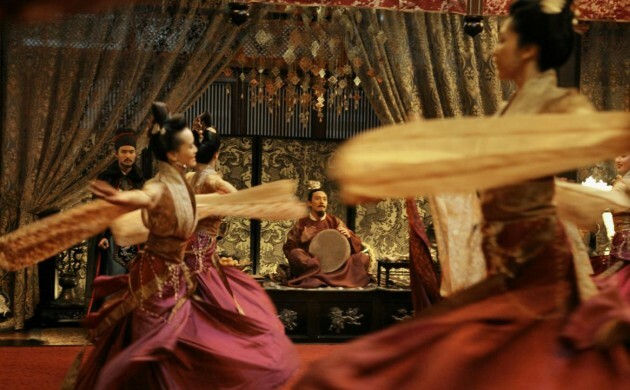 The film has had critics fawning over its photography, its martial arts choreography and slow-burn political drama since its screening in Cannes last year. It’s showing in Denmark at selected cinemas including Grand Teatret and Empire Bio. This week’s final release is Jodi Foster’s fourth feature as director, Money Monster, which is reviewed this issue. Over at Cinemateket, there’s a retrospective for the Polish master Krzystof Kieslowski that will run over the next couple of months and kicks off tonight (2nd) at 21:45 with the morally complex, multi award-winning indictment of capital punishment, A Short Film About Killing. That’s followed on Sunday at 19:15 by the brilliant Blind Chance – which was less successfully remade as Sliding Doors. There’s also a fascinating series on Iran 1960-90, which attempts to reveal this period of the country’s unknown cultural history through a program of rare fi lms throughout June. Mostly presented with English subs, things kick off on Saturday with two fi lms by celebrated director Abbas Kiarostami: Where is the Friend’s Home? at 14:15 and The Journey at 21:00 (dfi . dk/Filmhuset). Alternatively, if you prefer crass over class, you can head over to Huset (huset-kbh.dk) on Saturday at 19:30 and enjoy ‘70s schlockfest Squirm – in which millions of man-eating worms take over rural America.